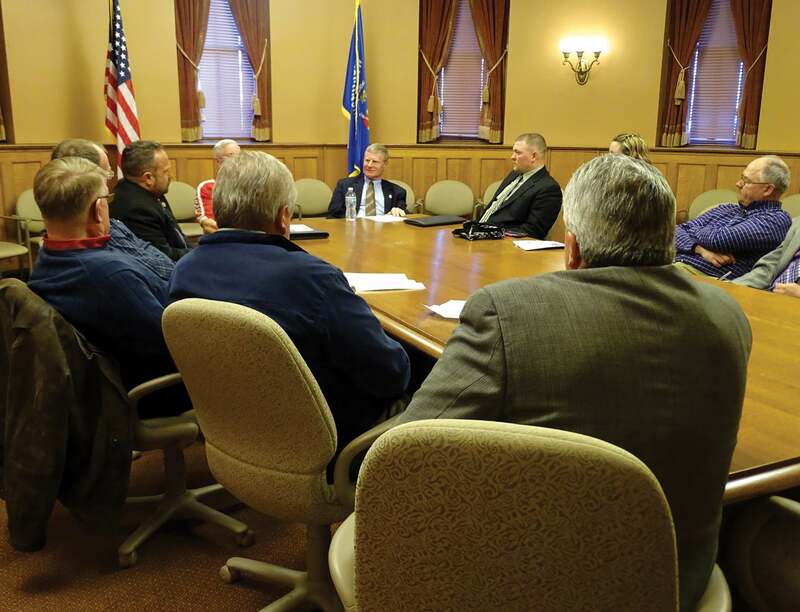 Volunteers for Agriculture® (VFA) is Wisconsin Farm Bureau’s political action committee. 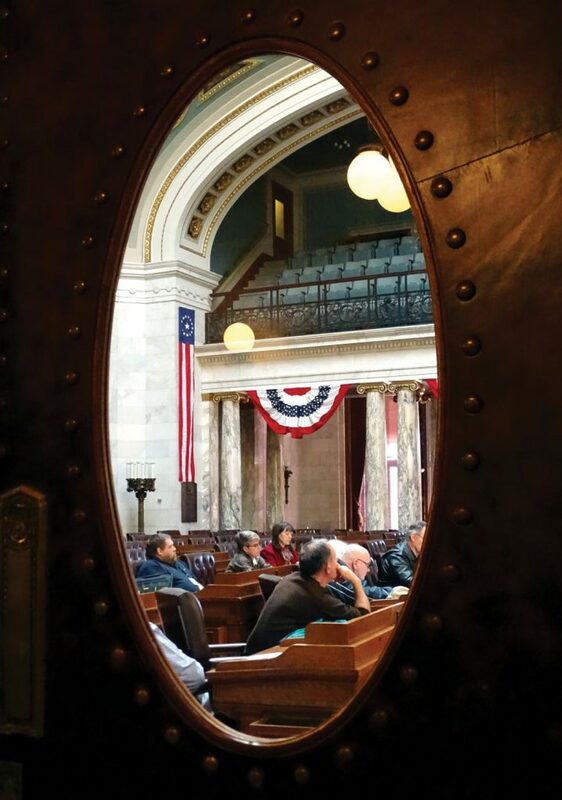 Since 1990, the VFA has helped elect candidates who work for agriculture’s interests in Madison. The VFA builds strong relationships with legislators of both parties to help us achieve our legislative priorities. • Promote the economic and social well-being of farmers, rural families and agricultural interests. • Head off burdensome legislation and regulations. • Advocate for farmers’ and agriculturists’ interests amid a changing social, economic and political climate. • Contributes directly to the candidate’s campaign committee. • Purchases advertising in support of candidates. • Motivates our members to vote for endorsed candidates. The activities of VFA are governed by a committee consisting of 18 Farm Bureau members, two from each of the nine board districts. Two members of the Wisconsin Farm Bureau Federation Board of Directors serve as non-voting liaisons to the board. VFA serves as a separate, segregated political fund. It solicits and receives political contributions and makes expenditures to support candidates without regard to political affiliation. In the 2012 and 2014 fall primary and general elections, 90% and 95% of VFA endorsed candidates were elected, respectively. Elections are ultimately won and lost based on the vision and ideas of any given candidate, but a candidate’s message can’t get out unless it is well-funded through donations from family, friends and like-minded supporters. This is where the VFA can financially help a candidate who believes in the values and lifestyle that agriculture provides so many hard-working farmers in Wisconsin. When the VFA monetarily supports and helps our endorsed candidates win, YOU have just gained another voice that can speak on behalf of agriculture in the State Capitol. Direct Bill Voting Members: As a voting member of the Wisconsin Farm Bureau Federation, you can make a $10 contribution when you make your annual Farm Bureau dues payment. If you choose to not contribute, you simply subtract $10 from the amount on the line marked ‘total’. Rural’s Exclusive Account Plan (REAP) Monthly Payment Plan for Voting Members: A VFA contribution amount of $10 is automatically added to your REAP statement 60 days after the effective date of your Farm Bureau membership. To decline the contribution, email Customer Service at customerservice@ruralins.com or call 1.877.219.9550 with 60 days of your membership’s effective date. Per Wisconsin law, the name and address of anyone who makes a contribution are reported to the Wisconsin Ethics Commission, the state agency that oversees campaign finance law, and are a public record which may be viewed online. Contributions are voluntary and not deductible for income tax purposes. Corporate contributions are prohibited.